Roofing is a necessity, and the way to make it more useful and trendy is to opt for flat roofing. This is mainly used for commercial purposes due to its impeccable durability. The installation process and maintenance are quite different from that of normal residential roofing. The materials used for flat roofing serve the purpose of protecting a commercial building well. There are several roofing companies in OKC that offer lucrative deals on flat roofing, and Preferred Roofing is one of the best. With Preferred Roofing, you pay not only for a product or service but also for the peace of mind of being covered by a quality roof. If you own a commercial building, call the roofing company with an excellent reputation in the market. The most popular services of Preferred Roofing pertaining to flat roofing are listed below. This is basically the most lightweight roof and is both environmentally friendly and seamless. This type will help you save money, as it insulates and therefore saves energy. There have been no complaints on this type regarding its durability. Performing occasional maintenance will ensure that your roof remains under warranty. In addition, SPF roofing is completely waterproof due to its monolithic construction. Class 4 hail rated coating provides total assurance that even the worst storms won’t cause leaks. Among the roofing companies in OKC, Preferred Roofing has the most expertise with SPF roofing. If your preinstalled roof is causing you trouble, you can have a foam roof installed to cover the ill-effects of it. A Modified Bitumen roof can be repaired and saved from obvious damages caused by excessive heat absorption by spraying a foam coating on it. A tar-and-gravel roof is very heavy and therefore hard on the structure of the building. With our foam on tar service, Preferred Roofing will remove the excess gravel from the roof and fill it with foam to make it lightweight yet durable. 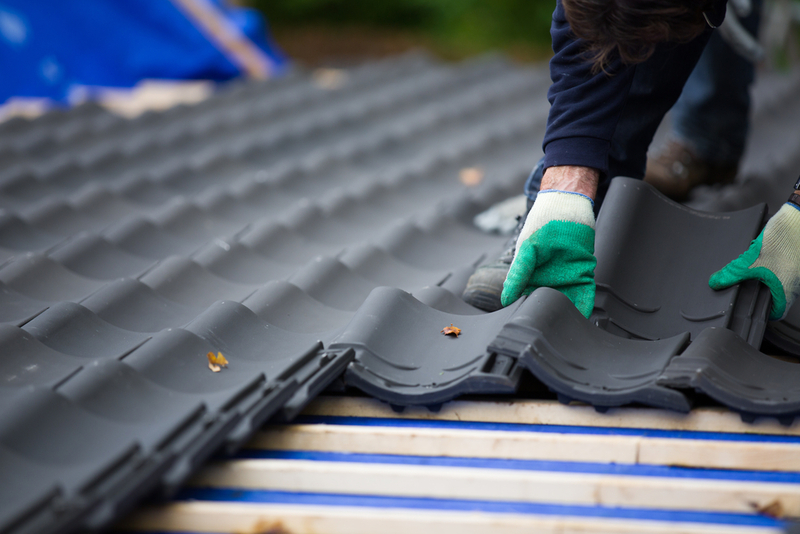 In this category, Preferred Roofing offers two options: new installation and replacement. Both services are costly with most roofing companies in OKC, but you can get an affordable deal with Preferred Roofing. Our service can turn your metal roof back to its original self, removing the rust and repairing the leaks. The fabric reinforced system of this coating improves the strength of the metal roof and makes it leak-resistant. The temperature of the roof can be maintained well with this coating, so it won’t allow heat into the interior. Other benefits of Preferred Roofing’s metal roof coating include easy installation, leak prevention, warranties, tax benefits and cost-effectiveness. This is one of the most popular roofing systems especially designed for the commercial purpose. The base material is thermoplastic polyolefin or TPO. This is famous for its durability, flexibility, and resistance to dust, dirt and harmful UV rays. Moreover, it is cheaper than other options. If you are stuck on a tight budget and have a membrane roof, you can choose our membrane coating system. Although membrane roofs tend to contain many seams and penetrations, our membrane coating system prevents leaks. It will extend the life of your roof and prevent you from needing a costly replacement. If you aren’t sure which roofing option is right for you, Preferred Roofing can help you with appropriate suggestions.